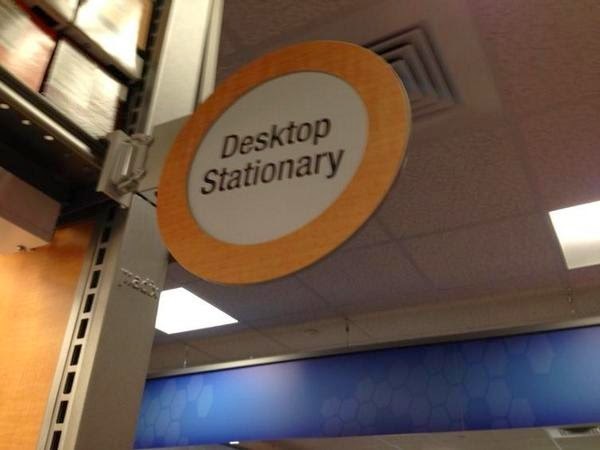 I also posted it to my Twitter feed with this caption: Really, @Staples?!? You can do better. Almost immediately, @Staples tweeted back at me: @JanetheWriter Oh no! What was the issue? A small selection? To which I responded, somewhat exasperated: @Staples It's S-T-A-T-I-O-N-E-R-Y. You know, with an ENVELOPE. I'll be curious to see if (and when) the store corrects the sign...and you know I'll be checking on it.